Woop woop, I’ve finally completed all my assignments for my MA Food and Wine Culture. That means I finally have a life again, well until I start on the dissertation. It also means I can finally catch up with my blog, and how about a glass of Champagne to celebrate? Last month my husband was mad enough to run the Paris Marathon, finishing in a fantastic 4hrs 29mins. To celebrate, and recover, we headed to Champagne, just a short drive east of Paris. We stayed in the wonderful Best Western Hotel de la Paix – I wouldn’t normally recommend a hotel but we have stayed in some truly awful places in Reims and I hope I can help you avoid them. Also the restaurant at the hotel is outstanding with lovely fresh seafood, great wine and very friendly staff. We decided (well I decided) that we wanted to visit some of the Champagne houses and after a morning spent at Pommery in Reims we headed to Épernay and Moët and Chandon. 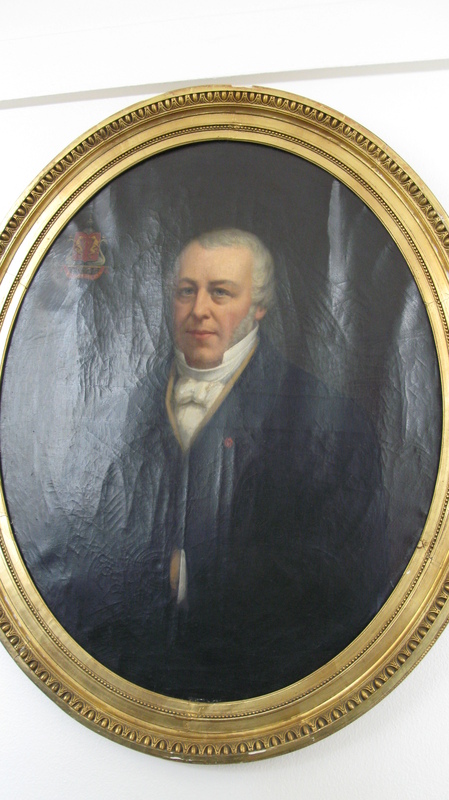 Moët was founded in 1743 by Claude Moët and the house of Moët was created by his grandson Jean-Rémy Moët and remains to this day a symbol of luxury. According to Moët and Chandon a bottle of their champagne is opened every second somewhere in the world and with this in mind the tour guide took us down into their cellars which at 28km are the largest in the world. The longest cellar is 300m and is at a depth of 30 metres. This ensures that the wine is stored in perfect condition with the exact amount of humidity and a stable temperature. Moët has a long and close association with Napoleon Bonaparte; this is demonstrated in the name of the Impérial Gallery which was named in honour of Napoleon’s first visit to the cellars (he made five visits in total) and the Impérial Champagne was created in 1869 to celebrate the 100th anniversary of Napoleon’s birth. 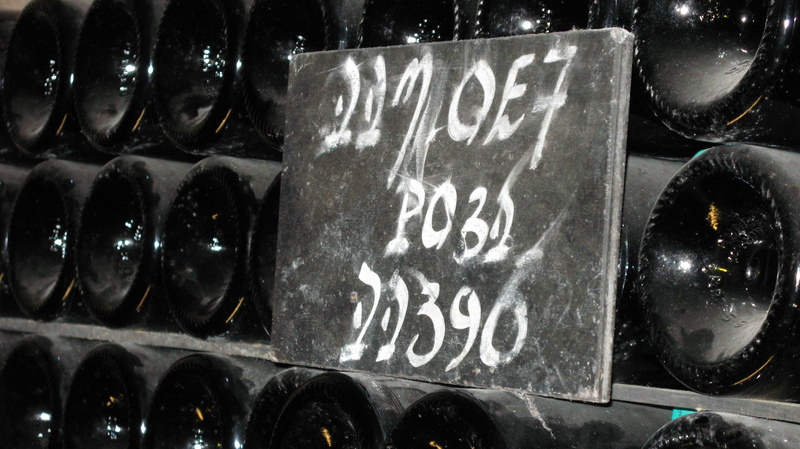 Moët and Chandon produce several champagnes including the Brut Impérial which is aged for 2½ – 3 years and the Grand Vintage which is only produced in the best years and is aged for a minimum of 7 years. There have been 70 Grand Vintages produced in the last 162 years, the most recent is the 2004. Both of the Impérial and the Grand Vintage are blends of the three Champagne grapes but the Grand Vintage uses more Chardonnay than the Impérial (51% for the 2002 and 38% for the 2004 compared with 20-30% for the Impérial). The Brut Impérial is a blend of an astonishing 100+ base wines, from a possible 700+, demonstrating the incredible ability of the Chef de Cave to continuously create a product that is recognisable to consumers around the world from such a huge choice of wines. Moët and Chandon own 1200ha of vineyards and also purchase grapes from other growers to produce the millions of bottles they make a year (they declined to tell us the exact amount they make). 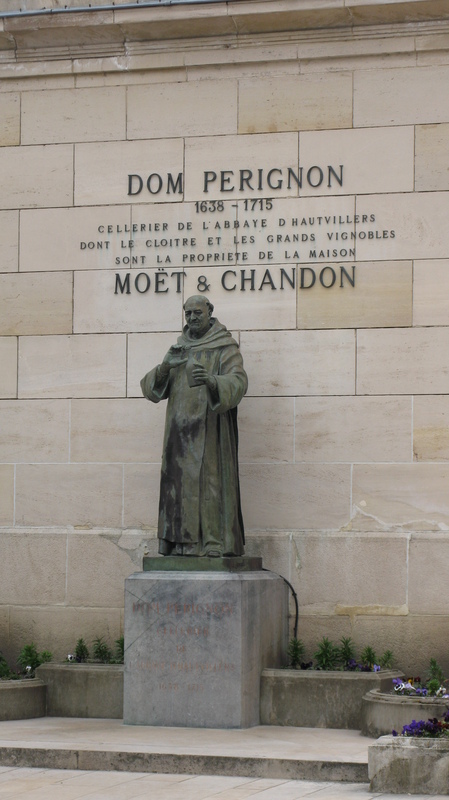 The most famous name associated with Champagne is of course Dom Pérignon and the tour guides at Moët aren’t shy about making sure the visiting tourists are aware of this connection. Dom Pérignon is always a Vintage wine and is only created in the best of vintages, it is Moëts premium brand. It is a blend of Pinot Noir and Chardonnay using wine from 17 Grand Cru, with a small percentage coming from Hautvilliers. It is aged for a minimum of 7 years, the Rosé for 9 years and the Oenothéque for 12 years, although they are often aged for a lot longer, the 1990 Oenothéque Rosé was aged for 20 years. They also use corks on the bottles rather than crown caps as they feel it is better at preserving the wine. This sign helps the cellar staff identify what is in each bottle – The top part is a ‘secret’ code that identifies the cuvee, the next is the vault number and finally the number of bottles stored there. Brut Impérial (dosage 9g/l, Pinot Noir 30-40%, Pinot Meunier 30-40% and Chardonnay 20-30%) – aromas of green apple, citrus and brioche and flavours of pear and apple. Brut Impérial Rosé (dosage 9g/l, Pinot Noir (40-50%, 10% red wine, Pinot Meunier 30-40%, 10% red wine, Chardonnay 10-20%) – red fruits (strawberry, redcurrant) with a hint of floral aroma. Both wines were bright, elegant and full of fruit, if I hadn’t already had three glasses at Pommery I would quite happily indulged in a few more glasses. But as it turned out two glasses were more than enough and I spent most of the trip back to Calais giggling and singing along to cheesy soft rock.